Peanut butter is one of the best known and most characteristic American products. Although its fat content is extremely high, but without any cholesterol and it contains vitamin E and H, magnesium, iron and zinc in a large quantity. Hence it is a very nutritious and in addition an especially tasty delicacy. Peanut butter started its world’s conquest on the St. Louis World’s Fair in 1904, where it got very popular together with other novelties such as the ice cream cone, hot-dog and hamburger. In the mean time it is a must have food not only in the USA, but also in Canada, Australia, the UK, some African countries, New-Zealand and in the Netherlands. Despite of its salty taste, paste like consistence it is usually consumed just as it is, but it is worth trying it as ingredient not only for sweets, but for sauces, soups or meat dishes! 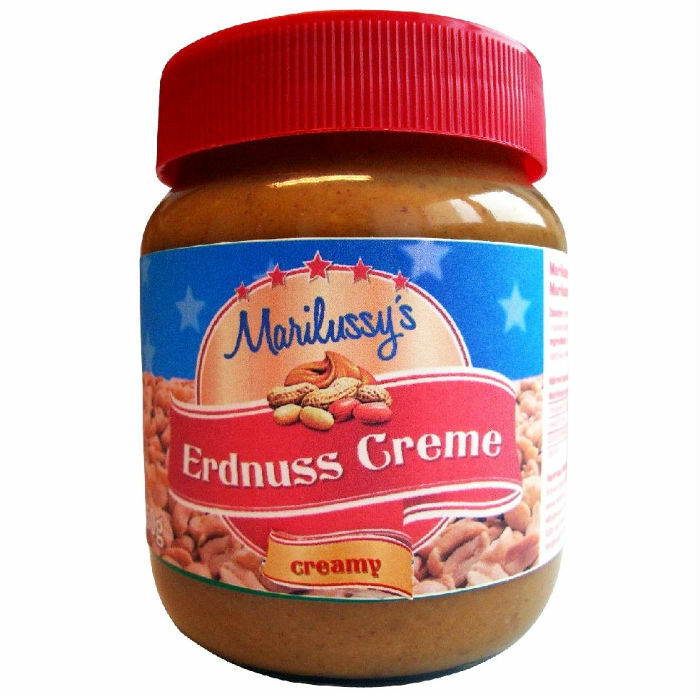 The Marilussy’s peanut butter creams are marvellous for a great breakfast on white toast bread or sweet pastries and with jam. 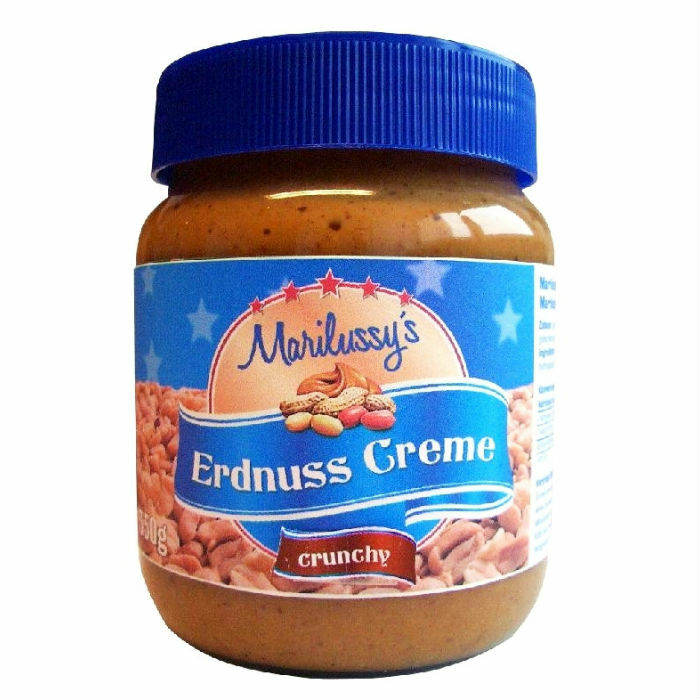 Due to the high – 90% – peanut content and the characteristic peanut taste it is an excellent base for creams, cakes and sauces.